I haven't changed much in 26 years. 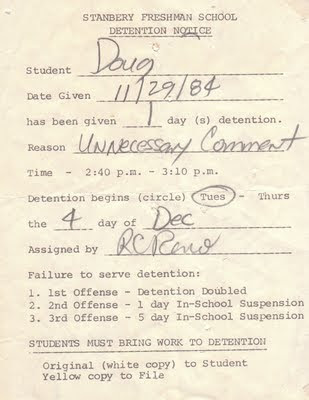 You started your detention on my birth day. Thanks for letting me know I was born on a Tuesday! Actually, that was a Thursday. 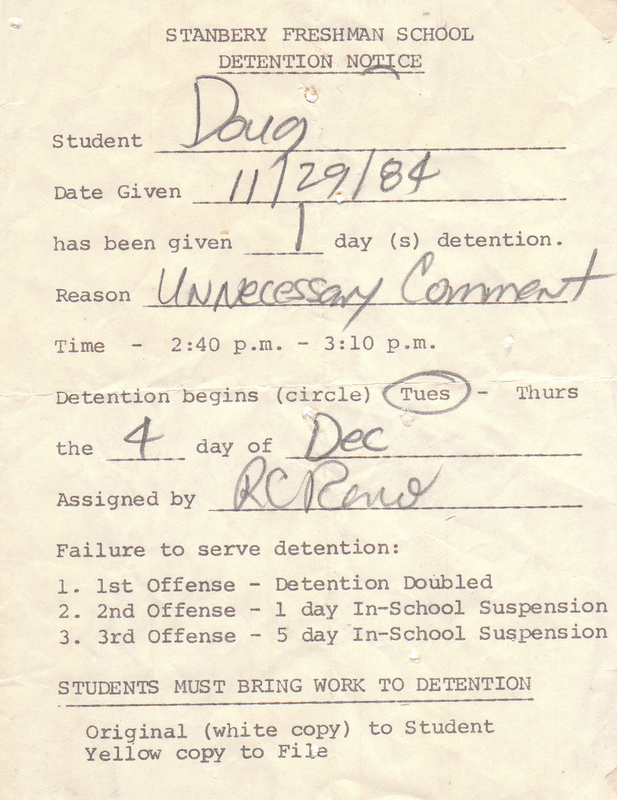 I think detentions could only be served on a Tuesday or a Thursday. DOH. Well, a couple things... your teacher circled Tuesday! Also the word "Thursday" gets on my nerves. Also I was born in December, so I fail anyway. I was less drunk during my original comment, so I have no idea WTF happened there. I'm just glad that people come to this site more than once. Don't worry, I'm a creepy stalker, I'll be back.